Our traditional three-fold Thai Mattress with triangle cushion is hand stuffed with natural kapok (a fluffy plant fibre). The kapok is packed to provide solid support, and yet is soft and comfort. The outer cover is made of durable cottton twill fabric. 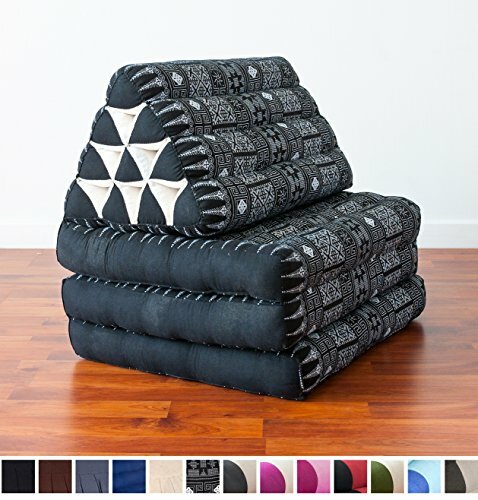 All our Thai cushions are double-stitched for extra strength.